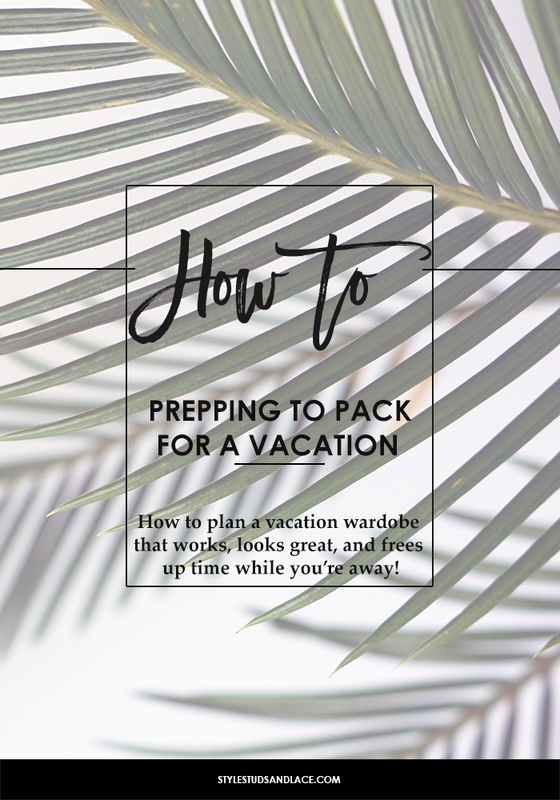 How many of you plan ahead when you’re packing for a vacation? I posed this question on Instagram at the weekend and quite a few people responded saying they tend to leave it to last minute, chuck in anything and everything, and end up over packing. What about you? Do you just wing it? And if so, how’s that been working out for you? 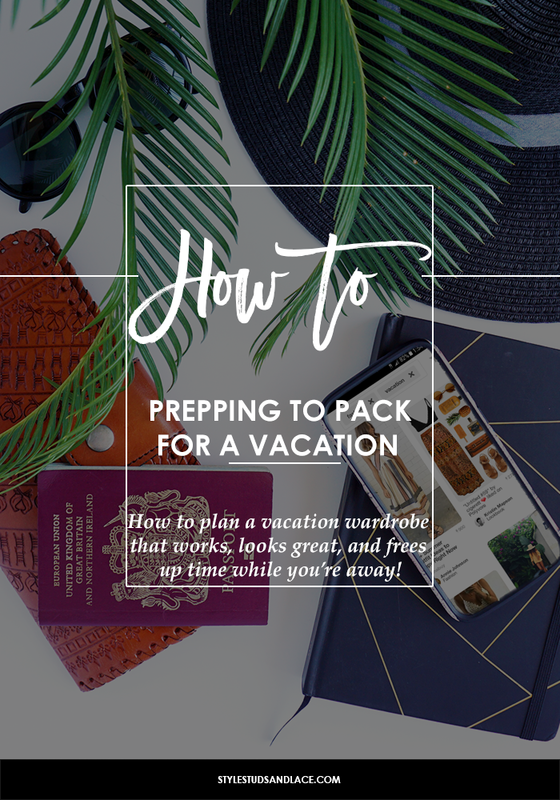 My guess is that you end up bringing times home unworn and waste too much time hunting through a mound of clothes, trying to decide what to wear, when you could be out sunning yourself or exploring a new city. It’s a common misconception that having more clothes makes it easier to decide what to wear (I get it, you want to make sure you’re covered for every eventuality) but the reality is – less is more. Yes really. But it does take a little planning to get the right mix of items, and planning takes time…and in my opinion isn’t much fun, but the pay off is such that I make time for it. 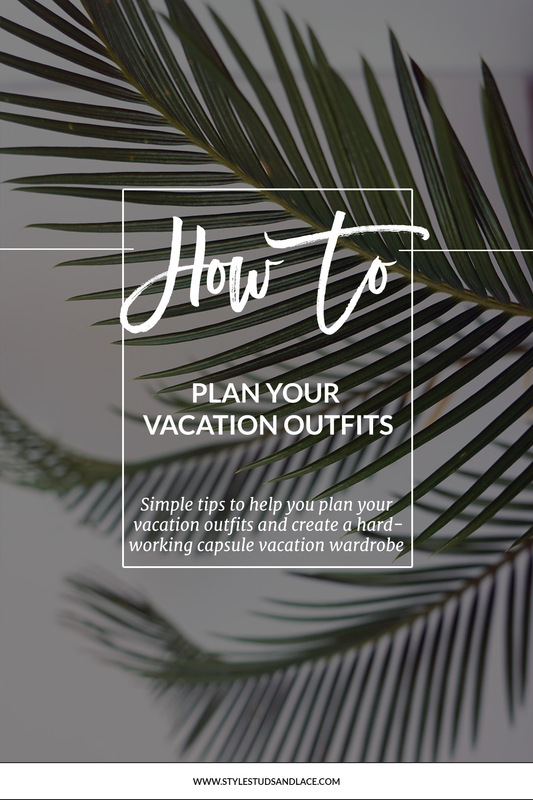 So if you’ve had enough of lugging too many clothes back and forth on holiday and are fed up of stressing over what to wear then stick with me and you’ll have a vacation wardrobe that works, outfits to be proud of, and more time to do what you went on vacation to do! What time of year are you going? What will the weather be like? How are you getting there? If you’re traveling by car you’ll be able to take more with you than if you’re flying to your destination. Are there any luggage restrictions? Check the luggage restrictions with the airline as not all airlines offer the same weight allowances. Who are you going with? If you’re traveling with a group of girlfriends, work out between you who will take what…there’s no need for you to all take a hairdryer! What are you planning to do while you’re there? You don’t have to plan each day, but it helps to have a little think about the kind of things you’ll be doing while you’re away. Are there any local customs you need to consider? If you’re sightseeing and plan on looking around churches and monuments, you may need to cover your shoulders and legs – so bear that in mind. Now you’ve thought about what you’re likely to be doing while you’re away, you can think about what items best fit that. Take the right ratio. For example, if you’re likely to be poolside or relaxing on the beach most days then it’s a waste of time taking outfits that are suited to sightseeing. I took 70% beachwear and 30% evening/sightseeing clothing for a recent beach holiday. Think about the type of fabrics that are best suited. Linen is fantastic for hot weather, but if it’s a humid heat then it will crease like a bugger. Choose a color palette – this isn’t something that I always do, but if you’re struggling to narrow down your options then sticking to a color theme will help you make decisions. It will also make mixing and matching much easier. Choose versatile pieces! This is the key to curating a collection of clothes that mixes and matches to the max! Once you’ve worked out what type of clothing you need to take (and, if you’ve chosen one – which color palette you want to use) you can start to plan your outfits. The best way to do this is to lay your possible outfits out on the bed and play around with mixing and matching them. This is my favorite part bit of packing but if you don’t enjoy this part of the process try not to skip it. It’s one of the most important steps as it will help you identify the unnecessary items that you’ll likely bring home unworn. While you’re playing around with your outfits think about how they might be dressed up for evenings. There is no need to take an entirely different collection of clothes with you for the evenings, just be clever with your accessories and use these to take outfits from day to night. Think carefully about your shoes and accessories, these are the key to a working versatile collection! I try to limit myself to 3 pairs – a pair of heels, a pair of sandals, a pair of flats or a fun, quirky pair. I find that pretty much covers every eventuality! If you need some more inspiration, head on over to Sara’s blog, Live Love Sara. 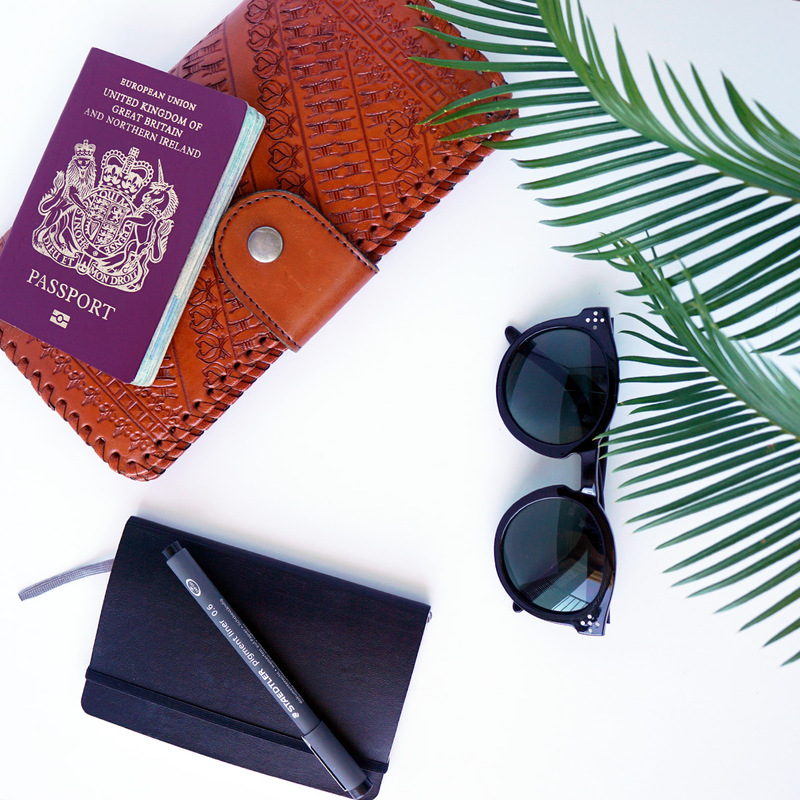 Every month she pulls together a packing list on her blog, for her readers vacations. 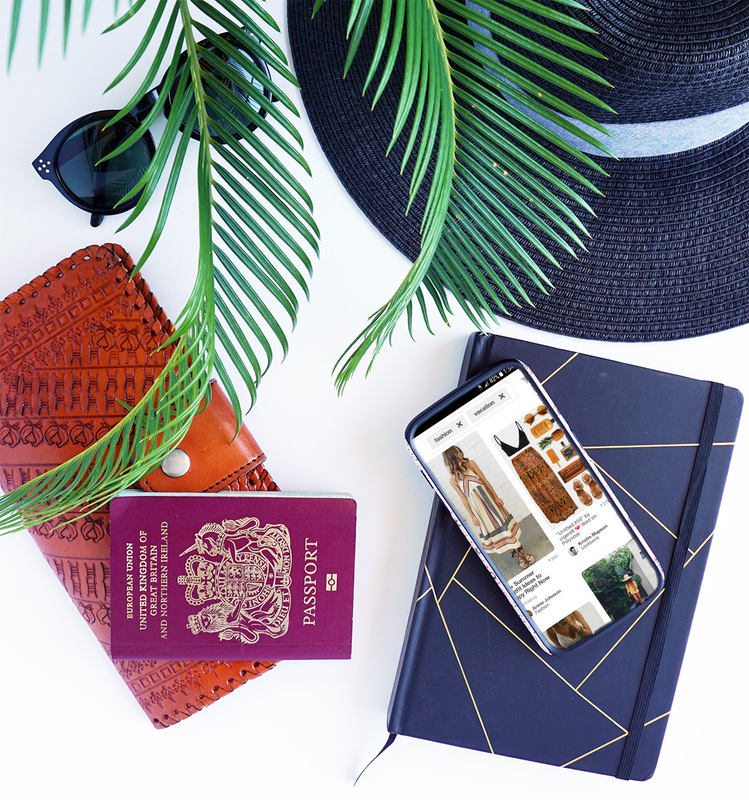 They’re a fantastic source of inspiration and if you’re lucky she might pull together a packing list for YOU! Flesh-colored underwear. They are the perfect go-under-any-color clothing, and are a must if you’re fan of white pants/trousers and skirts. Take one multi-way bra (in a skin color) that will cover you for all necklines. A bra clip – this is great for hiding your bra straps if you don’t want them to be seen under racer back tops. A travel sewing kit and a few safety pins. Most airlines allow you to take two bags onto the plane – a handbag and one piece of hand luggage. I always use take a beach bag on as my handbag as it frees up space in my hold luggage. If you’d like some space saving packing tips, check out this post I wrote over here Or, if you’re packing to move house, then this post is full of useful tips and advice!